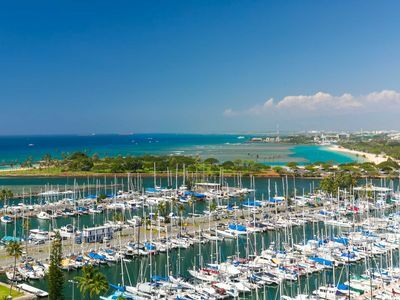 All this and you're just an easy walk or taxi ride to many exciting shops, restaurants, Ala Moana Center Beach Park, and Hawaii Convention Center are just a 10-15 minute walk away! 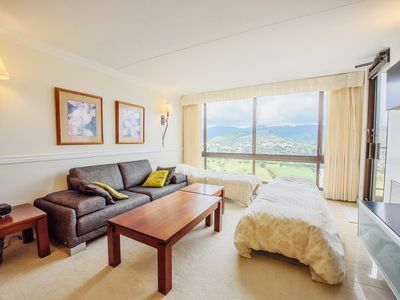 Also close to the new International Market Place and the Royal Hawaiian Shopping Center. 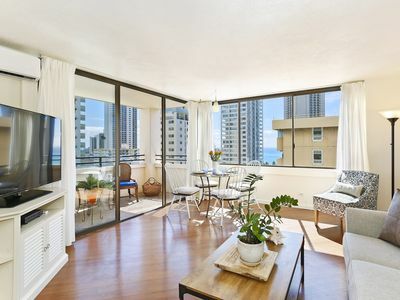 Live your dream vacation in this beautifully remodeled 1000 square foot two-bedroom, two bath condo (Parking and Washer/Dryer included) at the Ilikai, the world famous Waikiki landmark made famous by the TV show, Hawaii 5-0. (Parking is normally $20 to $24/ day but included in the rate). 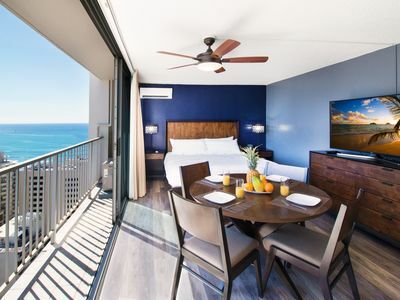 Not only do you have incredible ocean views from your Living Room, Master Bedroom and two lanais, you'll enjoy beautiful mornings and in the afternoons, you'll have a front row seat to spectacular sunsets and Friday night fireworks! 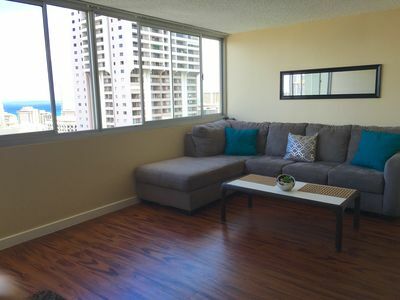 This luxuriously, newly furnished condo features a split A/C system, porcelain tile floors, living area with queen sofa sleeper and 60' flat screen Smart TV. The dining area seats four and there is seating for two more at the table and chairs on the lanai. 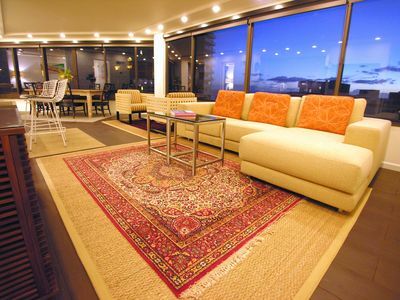 The fully-equipped kitchen has granite countertops, Sub-Zero refrigerator, dishwasher and microwave. You'll also appreciate the convenience of the in-unit washer/dryer. 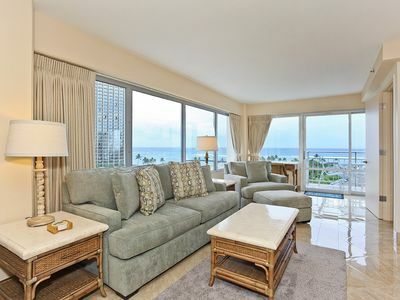 The Master Bedroom, with its ocean-facing lanai, has a Cal King bed, and 46' flat screen TV. The en-suite bath has an extra wide tub, hand-held shower wand, vanity with dual sinks, and Toto toilet with washlet. 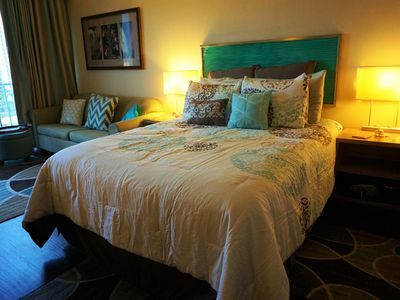 The second bedroom features twin beds (that can be made up as a king) and a 40' flat screen TV. The second bathroom off the hallway has a shower with hand-held wand and toilet with washlet. 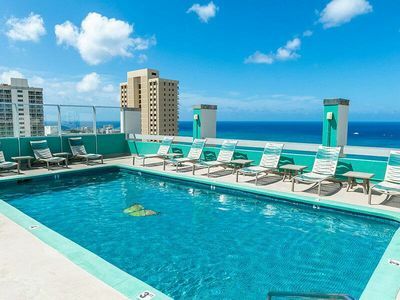 Amenities include laundry facilities on each floor, BBQ area, Club House, exercise room, heated pool, meeting room, pool, sauna and walking/jogging path. 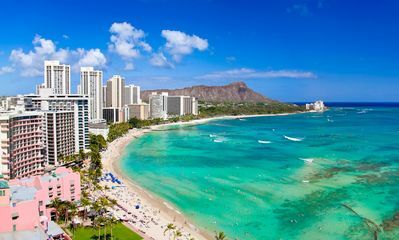 Waikiki Beach and the Hilton Lagoon are just downstairs. 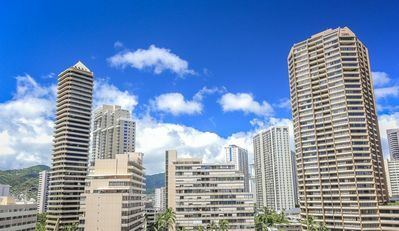 All this and you're just an easy walk or taxi ride to many exciting shops, restaurants, Ala Moana Center, Beach Park, and Hawaii Convention Center are just a 10-15 minute walk away! 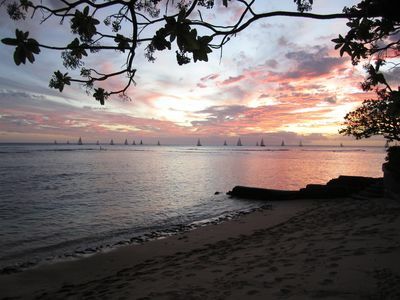 Also close to the new International Market Place and the Royal Hawaiian Shopping Center. 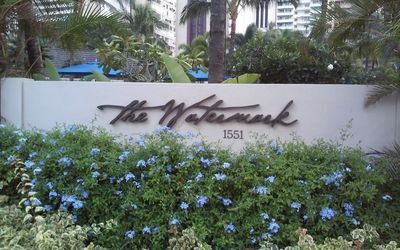 Your stay includes designated onsite parking for one vehicle (a BIG bonus!) and free WiFi, local calls, and long distance calls to Canada and the US mainland. This non-smoking accommodation sleeps up to 6 people.